With the soaring temperatures in Melbourne staying steady and a forecast of more warm days to come, there is no better time than now to have a beautiful and functional timber deck in your yard. Perfect for those weekend afternoons and nights entertaining guests, or for anytime you want to sit outside and enjoy your garden, timber decking is a great way to pass the time and create a platform for both vibrancy and peace at home. 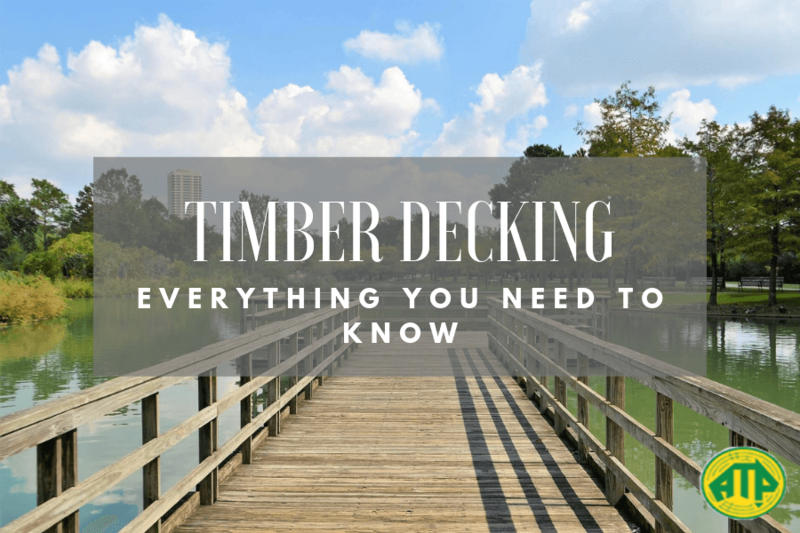 When it comes to timber decking, there are many variables and factors that come into play for designing and constructing the best deck for you. You might be looking to construct a deck to spruce up the look of your garden, or to create the best environment possible in your home. Regardless of your reason for wanting to make this positive change for you and your family, there are some things you should know before you embark on bringing this idea to life. Today we want to share with you everything you need to know about timber decking, right from materials through to permits, and everything in between. The first step in this process is getting clear on what you want. What makes you want to invest in timber decking for your home? Are you looking for a purely aesthetic boost? Or are you looking to create practical functionality as well? Do you need space for a barbeque, some seating and a table? You might already have a pool and are looking to extend your decking to surround it. The clearer you become on what purpose this decking will serve and where you want to fit it, the better your experience is going to be once its built. If you’re not particularly sure of what you really want; that’s ok too. By the time you’re done reading this article, you’ll have a much better idea regarding what you’re going for. When constructing a deck, you will need to choose decking timber that will suit your purposes. In Australia, we are quite lucky to have a wide variety of decking timbers that are readily available. At Australian Treated Pine, we’ve taken out the hard work for you by selecting what we believe are the two greatest options available for decking today. Not only are they both durable and well priced, they’re versatile and cover the spectrum of what most people desire in decking. The first decking timber we stock is merbau. Also known as Intsia Bijuga, merbau is a hardwood species of timber that is predominantly grown across Southeast Asia. You will find it naturally residing throughout much of the Pacific Rim region, including Indonesia, Malaysia, the Pacific Islands, the Philippines and Papua New Guinea. Merbau is also one of the hardest and most durable hardwood timbers available in the world. It is so tough and rugged that in order to harvest, process and manufacture it, special machinery is required. This means that if you opt for merbau, especially treated merbau, you know that you’ll have a deck that stands the test of time. The best part is that even the treatment process for merbau is so minimal, because its strength comes from the abundance of natural oils contained inside the wood. Unlike other timbers that require meticulous treatment after harvest, Merbau’s natural oils offer powerful protection against harsh weather conditions and insects; preventing the timber from splitting, cracking and shrinking. Based on our description, it’s easy to mistake merbau for being this ridiculously tough and challenging timber to work with, when it’s actually quite the opposite. For experienced and professional woodworkers, merbau is actually a favourite to work with. It is extremely easy to turn and bend, and it is on of the most malleable hardwoods around. It cuts and fastens easy, making it a pleasure to use. To top it all off, Merbau is one of the few timbers that is bushfire resistant and approved for use in areas that have a high likelihood of bushfire occurrence. In terms of aesthetics, merbau has a beautiful deep red colour that ages elegantly and looks better with time. This natural depth and beauty is what keeps people coming back to merbau time and time again. Treated pine is a species of softwood that grows in Australia. As a matter of fact, it grows so rapidly and widely that it is one of the only species of timber in Australia that pretty much kept up with demand during the recent timber shortage. In our country, there are plantations that are designed to be sustainable, from which the majority of treated pine is harvested. This helps to save our forests and prevents timber from being taken from the trees in our national parks and other natural areas. Pine, once treated, is a pretty durable timber. It is not quite as durable as merbau, but it is quite a bit cheaper. It’s a softwood, but it’s a pretty durable softwood in comparison to others, being naturally decay and termite resistant. The thing people love about treated pine the most is that it is extremely versatile. Unlike merbau, which can only really be set in its natural deep red colour, treated pine can painted and stained to match almost any colour scheme. This provides so much choice to you if you decide to opt for treated pine. When it comes to designing your deck, it’s wise to consider what specific features you want it to include. These will be unique to you based on your lifestyle and the layout of your home. If you decide to properly plan before building the deck, it will save you a lot of time and money. Timber decking extends far beyond being the ground you walk on. It can include a specific area for a barbeque or an outdoor kitchen. For best results in this case you would need outdoor plumbing before laying the deck down. In another instance, you might want to add a timber panelled privacy screen to your property if you’re seeking extra privacy. Another nice thing about timber decking is that you can create built in furniture, such as timber benches. Again, this would ideally be planned for before construction begins. Other elements of the design that you may consider are things such as where the sun rises and sets, whether or not your deck will be undercover, and if you want to take advantage of installing lighting, ceiling fans or heaters. There is so much you can create beyond a simple deck, and it’s totally worth taking the time to carefully plan for it. Under Victorian building regulations, there are certain conditions in which you do and don’t need a building permit. If your deck is free standing and no more than 10 square metres in area, and no higher above natural ground than 800mm, you do not require a building permit. However, if the deck is free standing and more than 10 square metres in area, regardless of height above ground, you will require a building permit. Finally, if your deck is attached to your house, regardless of the area size and height above natural ground level, a building permit is required. When it comes to constructing your deck, it’s best to assess whether or not you can DIY it, or if you need to call the professionals to build it for you. In essence, a deck is made up of a frame of posts, bearers and joists that support the decking boards. Still, only you will know how capable you currently are of completing a job like this, and you are the best judge to decide whether you can do it or not. If it starts becoming more complicated with permits and such, and you feel it is out of your depth, it is best to call the seasoned professionals to get the job done correctly. Make sure to do your research first so that you select a reputable team and get the best deck possible. To get the longest life and best shine out of your deck, proper maintenance is required. This basically means using a high quality oil-based coating product on your deck at the recommended intervals. There are many different coatings out there, but it is advised you use a pigmented coating that contains a colour to match the original timber, if you want to preserve the timber’s natural colour. Clear coat products allow timber to weather to a silver grey colour, which may be undesirable. If you want to take your maintenance to the next level, ask your timber supplier and builder to give you specific maintenance instructions for the exact timber material you select. All in all, once you get a good grip over what we have discussed today, building the deck of your dreams will be relatively straightforward. If you follow the steps and guidance above, you can’t go wrong. At Australian Treated Pine, we are considered by many to be the best place to buy decking online. Call us today on 03 9305 2000. What kind of deck are you planning on building, and are you leaning toward merbau or treated pine decking? Let us know by leaving a comment below! What is the Best Decking Timber to Use?